I love Sara Pennypacker’s Clementine books. LOVE. THEM. 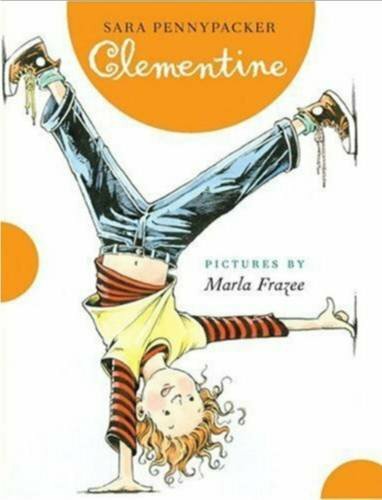 So I spent the winter this year reading the first book with my first graders, who now also love Clementine. I love her more than Junie B. Jones and, dare I say it, even more than Ramona. And the kids really related to her, it was very cool to see the mischievous kids pick up on Clementine’s good intentions and different view of the world right away. They really do get her. So we spent the winter reading her, talking about our own worst weeks, thinking up new adventures for Clementine to have, talking about the illustrations by Marla Frazee. 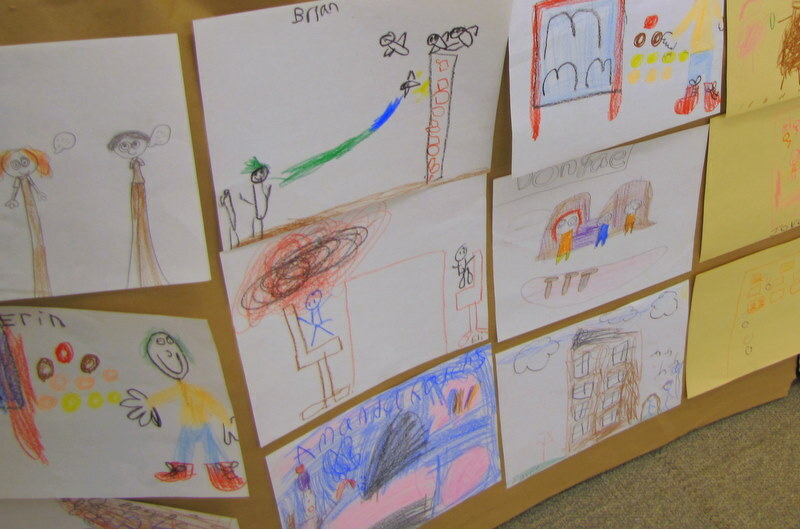 This month we’re doing a unit about Caldecott books in 1st grade, and the kids just love to see that Marla Frazee has gotten Caldecott Honors for other books. They like to look at the pictures and compare who looks like the characters in Clementine. This novel is a keeper for next year, it kept even my wiggliest ADHD kids’ attention for months. 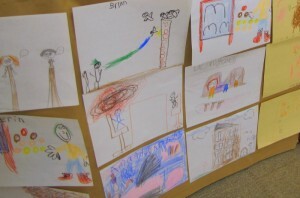 When we finished the book, we drew our own pictures of our favorite Clementine moments. I’d wanted to do more activities with this book, several more. But honestly, we were supposed to finish reading it at the end of January. My flu and then February snow days meant that we ran more than a month over my schedule reading this book, and I finally had to just move things along. So these drawings are the only Clementine project we did, but I think they’re pretty great.